A seaport in Glamorganshire, Wales, picturesquely situated on rising ground on the south side of the mouth of the Ely opposite Cardiff. The place derives its name from two Welsh words, “ pen,” a head, and “ garth,” an enclosure. Penarth was a small and unimportant village until a tidal harbour at the mouth of the Ely was opened in 1839, and a railway was made about the same time, connecting the harbour with the Taff Vale railway at Radyr. A dock, authorized in 1857, was opened in 1865, when all three undertakings, which had cost f775,000, were leased in perpetuity to the Taff Vale Railway Company. The dock was extended in 1884 and to cover 23 acres. Commercial operations ceased in 1986 and the area is now a marina. 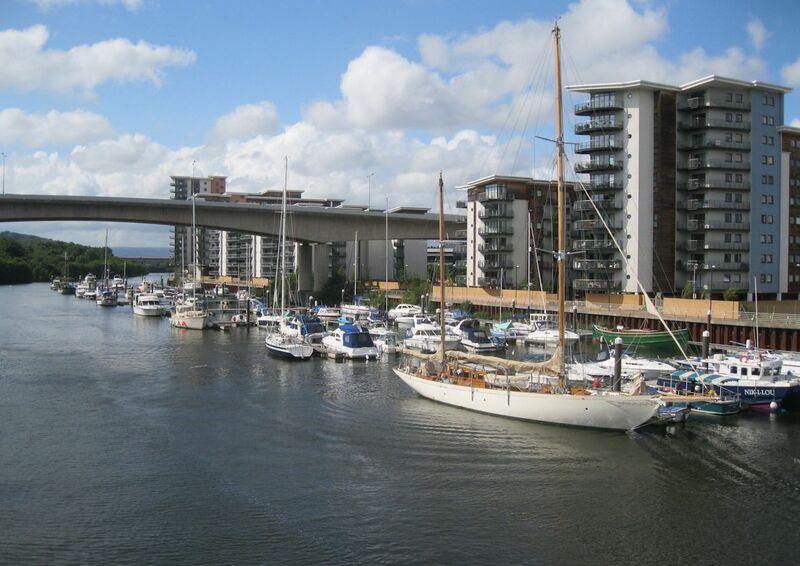 Penarth Marina is situated within the sheltered waters of Cardiff Bay and built around the basins of the historic Penarth Docks. The marina is an ideal location from which to enjoy Cardiff Bay and to explore the Bristol Channel and Severn Estuary and its many ports.